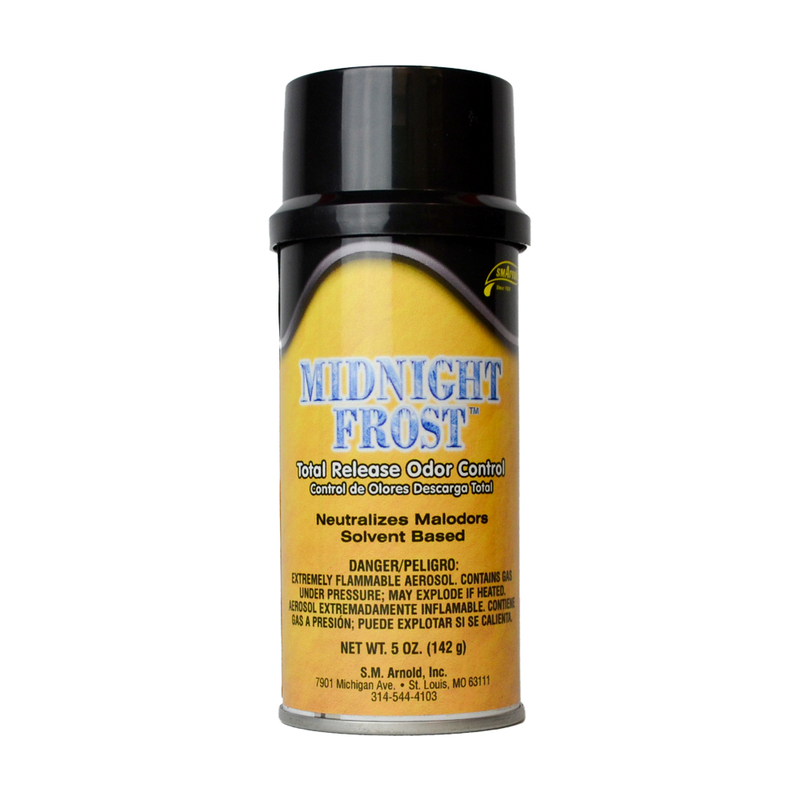 Midnight Frost Total Release Odor Bomb is an odor eliminator. 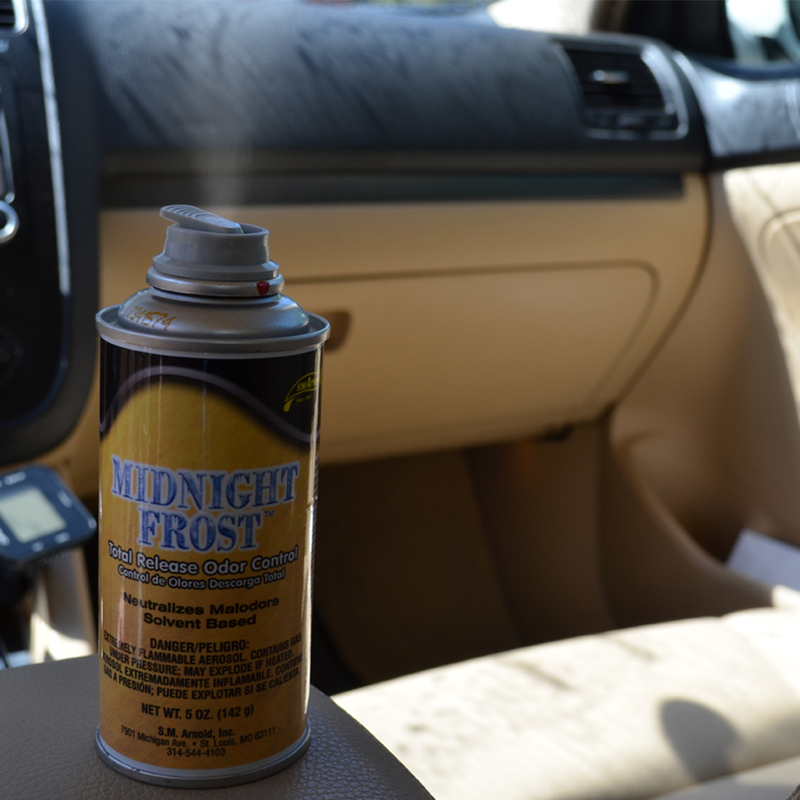 Midnight Frost eliminates all types of malodors. It is effective in eliminating odors caused by urine, feces, decay, rancidity, animals, fire, tobacco smoke, cooking and mildew. Each can neutralize and destroy odors in up to 6,000 cubic feet of space. 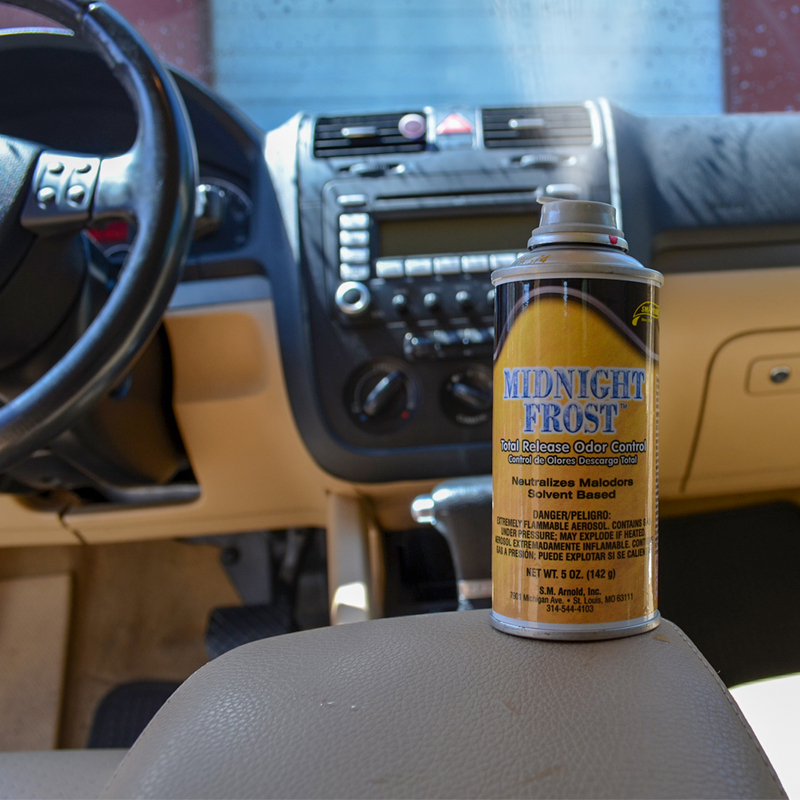 Midnight Frost Scented. Turn off ALL ignition sources such as vehicle pilot lights, other open flames, or running electrical appliances that cycle off and on. In vehicle or home, close all windows and turn off air conditioning or heating unit. Place can on raised surface near middle, spread cloth directly below can for protection. To lock valve into open position for total discharge, press valve button all the way down, locking the catch. Place fogger down and immediately leave the vehicle or room. Leave for 2 hours and ventilate area for 30 minutes after use.